The German jobs market ended on a positive note in 2017. This boom is expected to continue in 2018 signalling increasing opportunities for job seekers to join the German workforce. The more beautiful thing about this revelation is anyone with the right amount of skill can be a part of this growth. And If you’re reading this, you may just be the person Germany needs – provided you tick the right boxes. 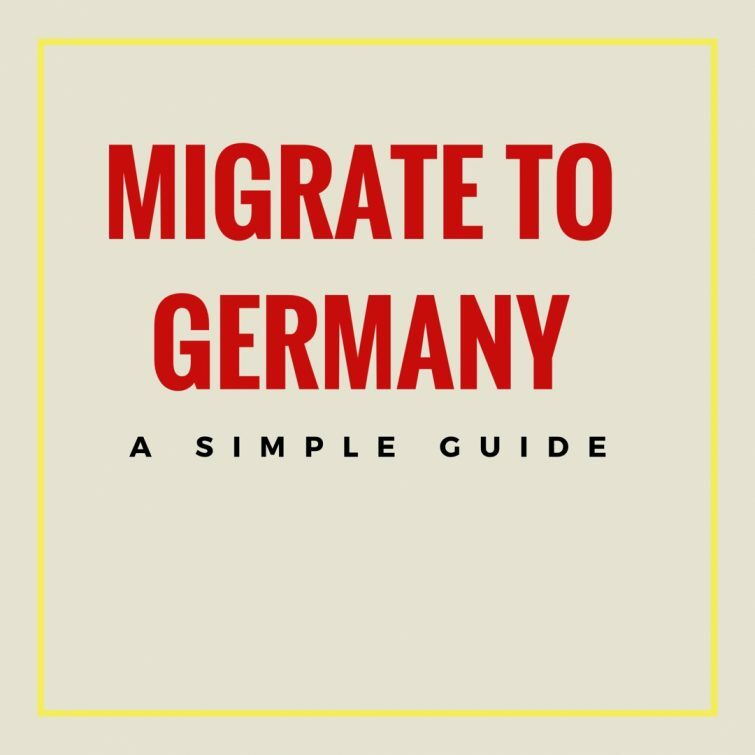 This post is to show you how you can migrate to Germany as a highly skilled individual. Germany is in dire need of doctors. The country currently needs several thousand doctors with this number expected to rise in the future. Doctors are among the highest paid and regarded professions in Germany. They are needed in both rural and urban areas. German cars, machinery and general equipment are globally known for their high standards. To maintain this status quo, the country constantly needs innovative engineers. Core engineering fields such as mechanical, electrical, building and automotive engineering are hotbeds for new talent. German research institutes, schools and private companies alike employ science-inclined professionals on a rolling basis. Fields like renewable energy and emerging technologies like the Internet of Things (IoT) require competent professionals. There is a general shortage of Science, Technology, Engineering and Mathematics (STEM) professionals compared to the potential job market. Your qualification is recognised be a competent authority to have a German equivalent. Here is a whitelist of vocational professions currently needed. The first step is to check if you are qualified to migrate and work in Germany. After this, you check if your qualifications are equivalent to a German one. This second process is called a recognition procedure. After the recognition procedure, you start searching for jobs. one useful resource for searching for jobs in Germany is http://expatjobseeker.de/. The site helps you find job vacancies that are happy to accept expats from other countries. If successful with your job search, you proceed to apply for a work visa into Germany. Another equally important step is learning to speak the German language. The essence of the recognition procedure is to check if your academic qualifications and work experience meets that required to work in Germany. Depending on the outcome of the result, you may have to undergo further training in your field. A relevant competent authority usually handles a recognition procedure. For example, a relevant German pharmaceutical authority will best vet a pharmaceutical degree. You don’t need to live in Germany or be a German citizen to apply for a recognition procedure. You can submit your applications from your home country. Check if you meet the basic requirements to migrate to and work in Germany. The migration check is an online tool for this exercise. Use the Recognition Finder to find a competent authority to submit your recognition procedure application. These documents are subject to change depending on the competent authority. It is important to first contact the authority for the specific documents they require. In most cases, you will have to provide certified German translations of all documents. The procedure is not meant to take more than three months. Cost for this procedure varies by individual cases and recognition centre you’re applying through. You are to pay all fees upfront. It is possible to get financial assistance from job centres and Agencies for employment. They will only refund the money spent, but you must pay at first. A work visa is possible when you have an offer for a job. To secure this offer, you have to search for jobs. Here are some websites to help you in your search for jobs in Germany. You may have to change the website language to English for some of them. The most relevant visas for this article are work and job seeker visas. If you have a recognised university degree or one equivalent to a German degree, you are eligible for a Work Visa or “EU Blue Card”. An important requirement for this visa is you must prove you have a job in Germany that is in line with your qualifications with an annual gross salary not less than 38,688 euros. A job seeker visas allows you to stay in Germany for up to six (6) months to seek employment in your field. The main requirement is you must have enough funds to live in Germany in this period. Also, you must possess a recognised higher education degree equivalent to one obtainable in Germany. You cannot extend a job seeker visa. You must return to and spend at least the duration of your job seeker visa at your home country before you can reapply. Always remember to be extra careful when applying as incomplete applications can be refused. Do I have to know how to speak German? You have to at least, learn to speak basic German at some point. Communication is mainly via the German language and being unable to speak it puts you at a disadvantage. Even if you get an English-language job, you need German to interact with people around you. There are various ways you can learn German. You may consider getting a physical tutor or going for online classes. Udemy is a storehouse for paid language short courses including German. A free option will be duolingo. Migrating to Germany is not a walk in the park. It requires research, careful planning and money. There’s no denying the gains that come with taking such a life-changing move. I’ve added a few more reading resources to guide you. If you have questions, corrections or comments, you can post them in the comments section below and I’ll gladly reply. Please I need a loan assistance to run my real business. I am ready to supply relevant document in need. Sorry, we don’t give money. We only share free, honest ideas that can help you become a giver. Hi, I am an EU citizen (Hungarian). I’d grateful for some info about the following. I am a certified English teacher and in 2 years i’ll become a certified psychologist. Are these professions also “wanted” in Germany? (These are both M.A. degrees). I also had work experience in teaching. I can also speak basic German and already started to improve my knowledge. in teaching or psychology in Germany? Thanks for all your valuable work on this site. My aunt really likes doing investigations and it’s really easy to see why. My spouse and i learn all regarding the lively ways you give effective things via the web blog and in addition recommend participation from other individuals on this content plus our favorite daughter is always understanding so much. Take pleasure in the remaining portion of the year. You have been doing a brilliant job. I must express my love for your kindness supporting those who must have assistance with in this subject matter. Your real dedication to getting the solution all around became extraordinarily invaluable and has continually permitted employees just like me to get to their pursuits. Your personal warm and friendly advice denotes a whole lot a person like me and substantially more to my colleagues. Thanks a ton; from everyone of us. Thank you so much for giving everyone an extraordinarily splendid opportunity to discover important secrets from this website. It is often so good plus packed with amusement for me and my office friends to visit your web site not less than thrice in a week to see the newest guides you have got. And of course, I am also usually satisfied considering the good suggestions served by you. Selected 3 areas on this page are without a doubt the very best I have had. Thank you so much for providing individuals with an extremely brilliant chance to read critical reviews from here. It is often very brilliant plus jam-packed with amusement for me and my office co-workers to search the blog a minimum of 3 times in 7 days to read through the latest guides you will have. And lastly, I am usually pleased with all the eye-popping points served by you. Some 3 tips in this article are easily the most impressive I’ve ever had.